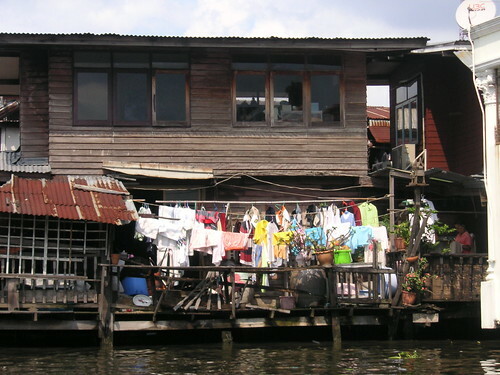 Along the canals you see grand and glorious houses, small shacks, and everything in between. They all have in common the laundry hung out to dry. None of that anglo-saxon discomfort with laundry here, nor the waste of energy when the sun dries the clothes much more ecologically!